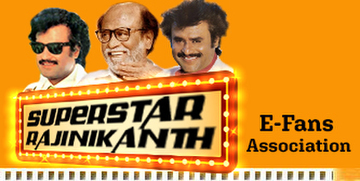 I met Rajinikanth for the first time during the making of Andha Kanoon. That was my first and only film with him. He played my brother and, initially, he was very aloof. He would not talk much. But as time passed, he began to relax. After that, I met him in Ooty during Dharamji's shooting, but I cannot recollect the name of the film now. I think he is a wonderful person. Actually, our families got together because of his wife. I had met her in Madras once. Since then, we have become quite close. She is a very friendly person. We travel a lot together and always plan our holidays abroad together. His children and my children get along well. Like me, he also has two daughters. They are of the same age as my girls. Rajinikanth is a charismatic person. He came into the industry as a villain, but he has been able to make a special place for himself. Not many people succeed in doing that. His style is unique. Of course, Hindi was a drawback for him, but he managed to overcome it. He is a lovely person; very shy, very respectful and very down-to-earth. His family is really cute. I am very fond of all of them. Whenever you go to his house, you just don't feel that he is a star. He is also a very spiritual person. His family is involved in a lot of charity work. I take this opportunity to wish him all the best and a long long life. Very rarely do you get to see such stars. Not only is he popular in India, I believe that he has a large fan following in Japan too. I only hope he continues to perform in the film industry.